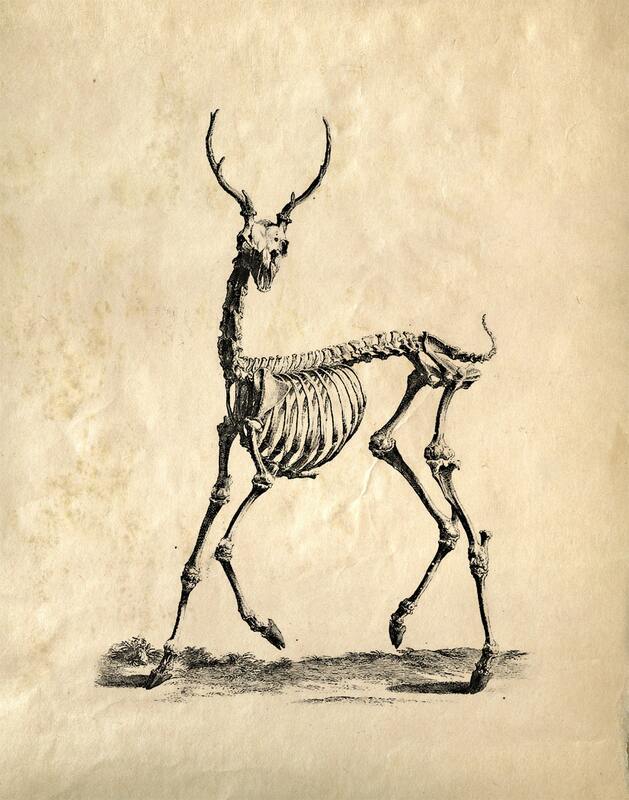 This fantastic print features a deer skeleton and is part of 'Osteographia' (The Anatomy of Bones) published by English surgeon and teacher of Anatomy William Cheselden in 1733. 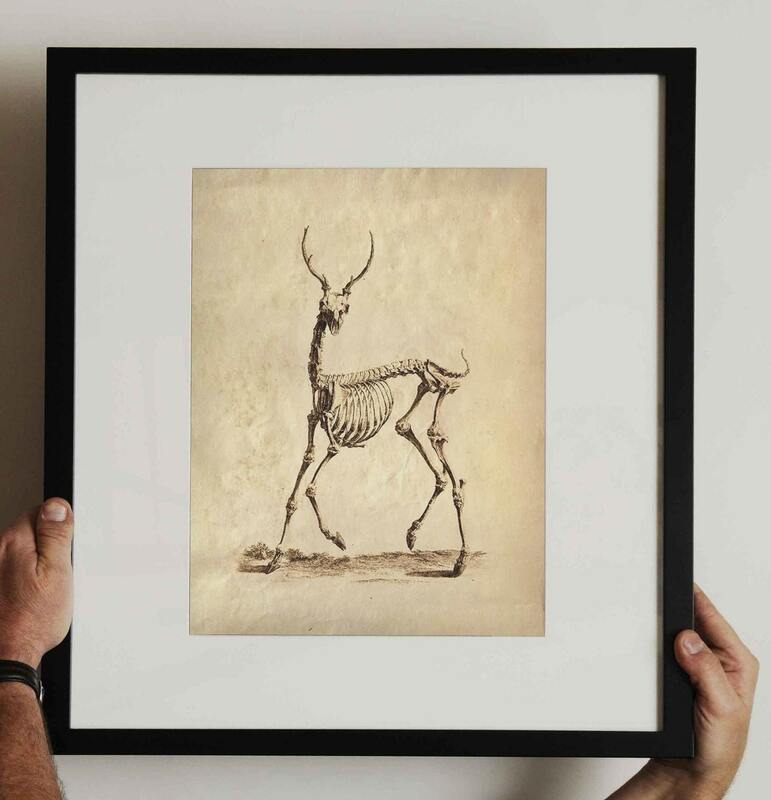 The collection features engravings of Animal and Human skeletons. This print comes from the salvaged science text. The pages have been scanned in, cropped, and retouched to ensure the highest quality reproduction possible.